Click on the truck or map above for directions from your location. 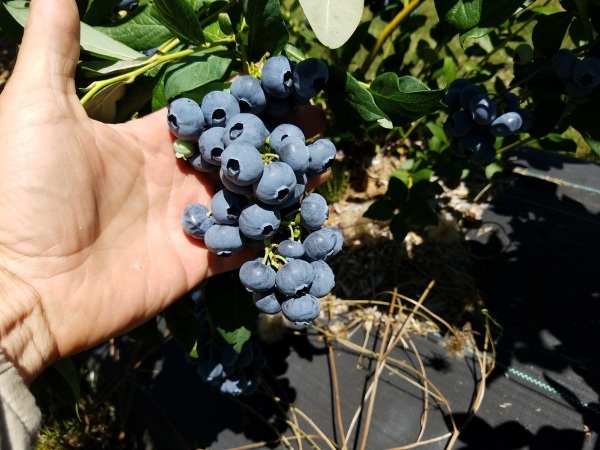 If you are interested in knowing more about our organic blueberries feel free to contact us. If you would like to visit the ranch please cantact us to set up an appointment. At this time we do not offer U-Pick. Whitewater Ranch is located about 25 miles east of Eugene, Oregon off Interstate 5 on Highway 126 in Leaburg Oregon. Turn left onto Main St/McKenzie HWY 126 East. 17.7 miles. Just past mile marker 23 you will come to the Leaburg Dam, cross the Leaburg Dam. Immediately after crossing the dam Turn right onto Fish Hatchery Road. Drive through the trout hatchery, follow Fish Hatchery Road until you arrive at the ranch. 2.0 miles. Do not make any left turns, stay along the river. *If this is your first visit to the ranch call once you arrive at the fish hatchery and we will come to meet you. **Big rigs are welcome but call first so we can lead you in.